Today we published a new version of SlideTalk with many functions to provide you more flexibility in your productions and more tools to help you manage and market your productions. We moved away from subscriptions to provide a more flexible system based on credits. Just fill your account with credits and then you can choose, for each SlideTalk individually, how to publish it. You can now edit the title and description of a video even after publishing, just click on "manage" next to it on your SlideTalk homepage. 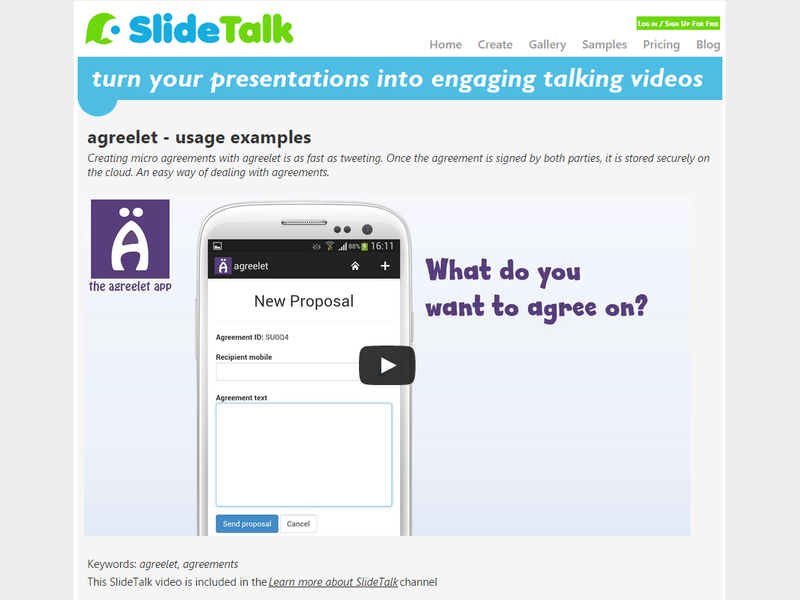 You can also remove videos from youTube directly from SlideTalk. The video page on the SlideTalk homepage has been improved and now also features the video title, description and tags, to provide you full control on how your video is presented and help you marketing your work.